Do you have a little extra Zoom-Zoom in your step? 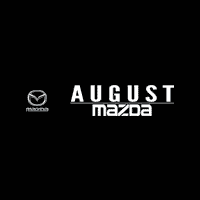 August Mazda has been family owned since 1945 and is recognized as #1 in Customer Satisfaction. Did we mention we’re also #2 in Total New Sales Volume for all BC Mazda Dealers? We say this not to brag, but rather to exemplify our passion as a group of dedicated professionals. We all harbor the Mazda brand essence and prove the automotive industry can be both exciting and rewarding. Find out how you can be part of the August Mazda Ltd team!